Pyrite is a brass-yellow mineral with a bright metallic luster that holds many similarities to gold. This has tricked many novice prospectors over the years into erroneously believing they'd struck it rich. Even the renowned Captain John Smith who helped found the American colony of Jamestown in the early 1600s was an unwilling victim of pyrite's charms. He sent an entire shipload of what he mistakenly thought was gold to London, only to be thought a fool. He certainly wasn't the only "fool" throughout history to be blinded by the truth; hence pyrite's apropos nickname of "fool's gold." When it comes to the wealth management business, many banks suffer similar delusions of grandeur. They think they have it all figured out, when, in reality, some haven't even scratched the surface of what is needed to be successful. Indeed, community banks have historically had a rough go when it comes to wealth management. Given the many fiscal, cultural and operational challenges, a good number of banks have understandably shied away from this end of the business. Yet, with low interest rates continuing to take a toll on interest-income, the ability to generate fee income takes on more importance, so a number of banks have begun to explore their options. Consider that 45% of respondents to the Bank Director's 2015 Bank M&A Survey said they intend to make acquisitions in investment management or trust businesses over the next 12 months. More than 60% of the banks looking to make a purchase in these areas are in the $1B to $5B asset-size category, while nearly 50% have $500mm to $1B of assets. To be sure, the investment management business is not an easy one for banks and buying into it is not a decision to be taken lightly. Aside from understanding the basic financials, you need to measure your own desire to commit to the business. 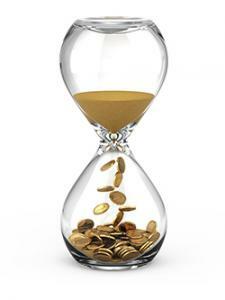 Is it something you truly want to devote the time and money to? Do you have the cash to make such a long-term commitment? Are you willing to train employees to refer business and about the importance of doing so? Do you have the infrastructure in place to support the business and are you willing to put continued investment into it? If you're coming up with fuzzy answers to any of these questions, you might want to reconsider. We can name several partnerships between banks and wealth management firms that probably never should have been consummated. While hindsight is 20/20, if you are thinking of dipping your toes into wealth management with an acquisition, it's important to tread carefully. You can probably eliminate a good number of potential partners off the bat. For starters, only look at firms where the owner wants to continue to have skin in the game. Newbie's need experts so keeping the owner around and engaged is important. You should also look for firms that mesh comfortably with your corporate culture. If you are all about being slow and methodical and your potential wealth management partner has an overly aggressive modus operandi, you're probably asking for trouble. Finally, the investment management business isn't right for every bank, but it can be profitable for certain ones, under the right circumstances. Before you chase this pot of potential gold, you'll want some assurances that it is actually the shiny stuff and not some imposter at the end of the rainbow. Treasury yields closed out the day falling a modest 1bp as it ended up being a relatively calm quiet for the market. Yields are up 2bps this morning as investors predict that jobless claims will show improvement in the employment sector. Banks analyzing branch activity may find it interesting a survey by the ABA finds 54% of people say they are comfortable paying for goods using their smartphone as a mobile wallet instead of using a credit card. In addition, 60% say they expect that in the next 5Ys everything will be done on mobile devices and 45% say they would be comfortable paying a bill by taking a picture if the technology were readily available to them to do so. A report by the Society of Corporate Secretaries and Governance Professionals and Deloitte on board practices from 250 major public companies finds: A) Board Size - Most small cap companies have 7 directors; most mid caps have 9 and large caps have 11; B) Age Limits - About 77% of financial companies have age limits with the most frequent policy of ages 72 (44%) and 75+ (32%); C) Term Limits - Only 6% of companies have term limits with the most common 11 to 15Ys; D) Desired Skills - The most desired skills and experience identified to contribute to the board's success in the next 2Ys was industry (48%), C-level (32%), international business exposure (25%), risk management (23%) and technology (22%); E) Meeting Length - Most boards meet for 3 to 5 hours; F) Package Delivery - About 69% of companies send board materials out 6 to 10 days in advance of the meeting; G) Electronic Delivery - About 84% of companies now distribute materials electronically; H) Management Attendance - the following members of management (financial services companies) regularly attend board meetings: CEO (98%), CFO (96%), CIO (9%), CRO (26%), COO (26%), general counsel (81%); I) Strategy - About 52% discuss strategic objectives at every board meeting and 29% do so annually; J) Succession - About 60% of boards said they review CEO succession plans annually; K) Cyber Security - Financial services companies said the committees that oversee cyber security issues were audit (38%), full board (23%), risk (23%) and information technology (8%). Banks should note a recent survey by Litmus finds that 43% of email is now opened on a mobile device.